Look, I've played a lot of crap in VR. In fact, I've played mostly crap in VR. The store is a wasteland of half-fulfilled ideas and tech demos being sold for at least $19.99. Players will clamor "Oh, this game isn't so bad! You're being too harsh!" but what they're really saying is "Help I spent a lot of money on this thing and I'm desperately searching for validation!" Most of the games worth the time are things like Rec Room that are entertaining virtual playgrounds experimenting with brilliant ideas. I am very thankful that Wilson's Heart is here, because I have a solid linear VR experience I can point to and say "Yes! Let's do more like that!" If the thought of a virtual reality horror game sounds amazing to you (and you have a Rift), then I have great news. I'm going to apologize now, because much of what makes Wilson's Heart exciting to talk about is also spoiler-heavy and, considering the linear nature of the game, I don't want to ruin the experience for anyone reading this. It is a bit frustrating, even on my end, since a lot of what makes Wilson's Heart great are things that are best experienced for yourself. It's important to know going in that this is a linear affair. Wilson's Heart is telling a story and the player is experiencing it. It does feel very limiting at times, as sometimes players will see items they need before the game allows them to interact with them, but overall the game benefits from this approach. This ensures that setpieces are set up perfectly and experienced in just the right way. And man, this game has some brilliant moments. I am not a horror game guy. I wimp out very quickly in games like Alien: Isolation or Amnesia: The Dark Descent. Don't get me wrong, I love the genre, I simply play them in short bursts before I have to lie down and sob a bit. Now, imagine how I felt playing a virtual reality horror game. The promotional material is sure to call this a "psychological thriller" instead of a horror game, but I was scared shitless so it's horror to me. I think I held my breath more playing Wilson's Heart than I did when learning to swim. 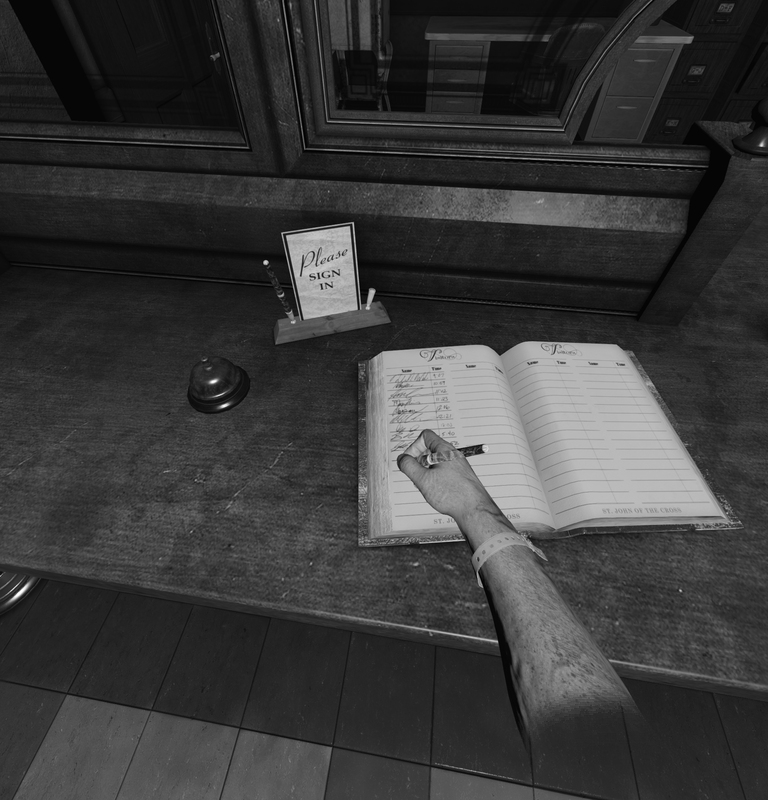 As Wilson, players teleport to specific locations (marked by a white outline of the character) to interact with objects in the world. There is no free movement, but there was never really a moment in which I felt as if it suffered as a result. It does take a while to get used to the fact that the game always uses your designated "front" as where you should be looking. Often I will look around for the next outline, which may be behind me, and then have to make another 180 to be facing the correct way. Eventually, I learned to just twist my torso and recenter. There are countless "oh hell no" moments here. There were multiple times when I knew what the game wanted me to do, often looking in a certain direction or opening something, and sat there for a minute, refusing. "Nuh-uh, nope! I'm not doing it!" Obviously, I ended up doing it, but these kinds of moments have such a huge impact in virtual reality. Actually peeking into a room filled with who-knows-what is a lot more terrifying than moving an analog stick forward. The hospital building that acts as the setting is incredibly well crafted. Lots of details went into making this place as spooky as possible with tremendous results. The black and white visual style also helps cement the "light versus dark" theme that's implanted early on and overall makes the game feel more mysterious. It was a bummer that many things can't be interacted with, since that detracts from the immersion at times. Things that can be grabbed, open, pushed, or otherwise interacted with have a faint glow, and just about everything else is just set dressing. It does help create a more focused experience, but I still couldn't shake the feeling that at least everything should be locked if the player shouldn't interact with it. Also, one time I had a badass idea to open a locked door by reaching my hand through an open slit and opening it from the inside, but the game wouldn't recognize that and it made me sad. But that's neither here nor there. 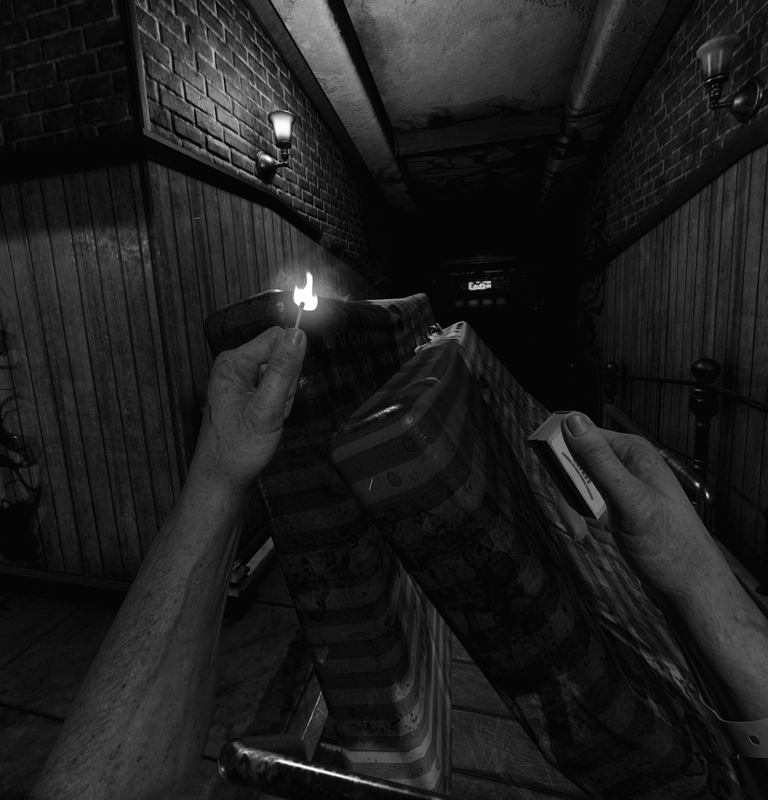 Regardless of what can be interacted with, it's how the player interacts with things that makes Wilson's Heart an amazing VR experience. Whether it's a setpiece or a smaller moment, there were plenty of times I took off my headset and thought "that was so cool!" Even something as simple as striking a match feels so satisfying. Grab the box with one hand, tilt it to slide the matches out, grab one, rotate the box, and strike it. Perhaps most importantly: everything works as it should. 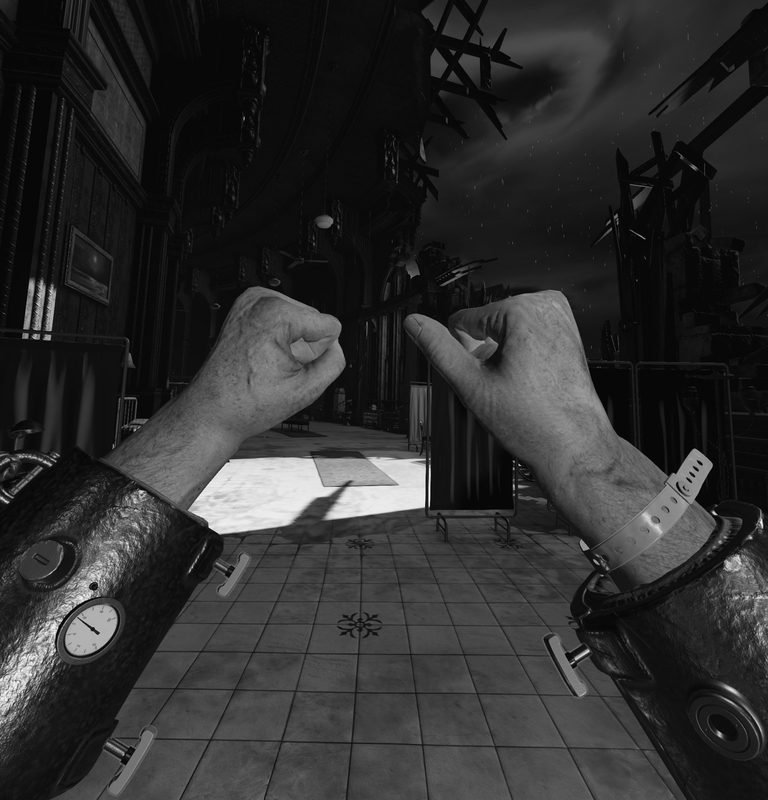 Countless VR games fail to recognize gestures or otherwise mess up simple concepts, but Wilson's Heart always works the way it is supposed to. Sure, sometimes the in-game hands are at impossible angles, but it's a small price to pay to avoid a common frustrating with the medium. There are also newspapers and comic books strewn around for the player to read for some world building and entertainment, but since all small text is really hard to read in VR, I mostly just looked at headlines and pictures. Somehow I got this far without mentioning that this game focuses a lot on puzzles. The primary focus here is solving puzzles, adventure game style. Collecting items from the surrounding areas and figuring out their uses provides the most common form of progression. There isn't an inventory in the traditional sense, but Wilson can store items as he collects them and they will show up when they need to be used. You may be thinking "that takes all the fun out of solving the puzzle!" but in reality, it's just cutting to the chase. By the time you need to use the thing on the other thing, you know exactly what to do and it would be meaningless to have to open an inventory just to take out the obvious item. 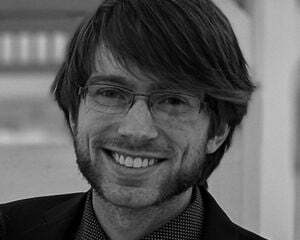 Puzzles are not obtuse and arbitrary, so solving them feels grounded and important. There's even combat! And it's exciting! Wilson himself gets a handful of abilities as the game progresses (thanks to his heart-orb-thingy), and using them feels satisfying and even requires some skill. It's impressive how many great ideas Twisted Pixel jammed into Wilson's Heart without making it feel overbearing or shallow. Everything has a purpose and feels fleshed out. This is a VR game that will inspire others to make their own VR games. It's a high-quality product that makes me upset it's an Oculus exclusive. I still think that VR games have a long way to go, but Wilson's Heart is a strong foot forward towards realizing the true impact virtual reality can have. It doesn't rely on jump-scares to freak out the player but instead opts to make them uneasy and uncomfortable with its environment and brilliant setpieces. 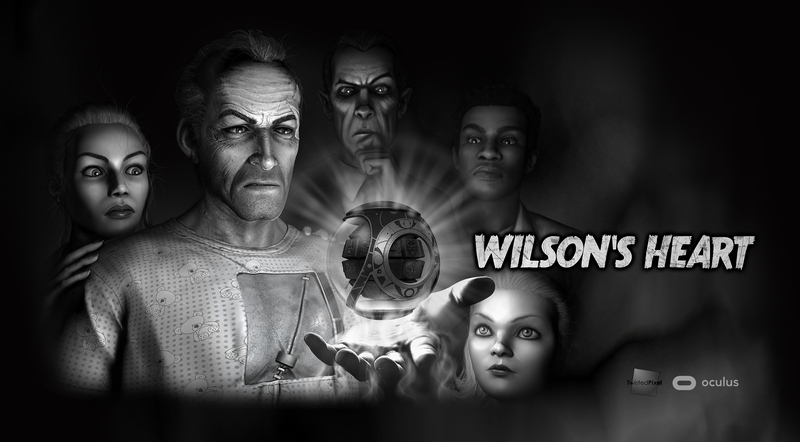 If you have the capacity to play Wilson's Heart, do it. Then send me a PM so we can talk about all the super cool spoilery moments that are unmatched in the medium and genre.